The private driver and English Speaking guide will pick you up from your hotel at 5am and transfer you to Shanghai airport. After reaching Xian, we firstly visit the Shaanxi Provincial History Museum, which is the first built national level museum with modern facilities. 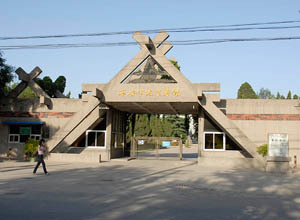 At here you can see various Bronze wares of Zhou and Qin dynasty. The next scenery spot is the Big Goose Pagoda; it was built in Tang Dynasty to reserve the Buddhist sutras brought by the Buddhist Xuangzang from India. Today it has become the symbol of the old Xian City. Then we will visit Xian City Wall, the most intact reserved old castle in China, and at last we come to the neighbored Bell & Drum Tower. They were used to tell time in the ancient times. After the tour, transfer to hotel. Today you will visit the magical Terracotta Warriors, the lively terracotta warriors and horses will take you to the prosperous Qin Dynasty. 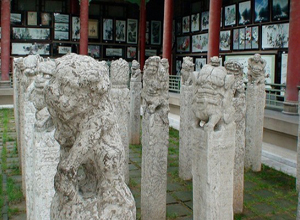 Forest of Stone Steles Museum, which is also regarded as a Confusion Temple. After the tour, transfer to airport and fly back to Shanghai. Pick up in time from Shanghai airport and transfer to hotel. End of our service. Below are suggested hotels for your reference. You could also reserve hotel by yourself. *Meals as listed in the itinerary. *China internal flight: Shanghai-Xian; Xian-Shanghai. *Private English-speaking tour guide and private vehicle for transfers & sightseeing. *Free visits to handicraft factories. *Luggage transfers between airports and hotels. *China life tourist accident/casualty insurance. Pick you up from your hotel at 5am by our private driver. Transfer you to Shanghai airport and fly to Xian. The first station is Xian City Wall, which is the most intact reserved old castle in China; then we come to Banpo Museum, you can feel the prosperity of living and production in the remote matriarchal clan society over six thousand years ago. Next we visit the Great Mosque built in Tang Dynasty to reserve the Buddhist sutras brought by the Buddhist Xuangzang from India. The last station is the Muslim Street; you can have a taste of the authentic Muslim food and visit the Muslim shopping centers here. After the tour, transfer to hotel. Today you will visit the famous grand Terracotta Warriors and Shaanxi Provincial History Museum. After the tour, transfer to airport and fly back to Shanghai. Pick up in time from Shanghai airport and transfer to hotel. End of our service.